Power, Perfection and Phenomenal are the three words which come to mind inside the cabin of a Bentley. It rules the roads like a Phantom, floats like a Ghost, accelerates like a Bat straight out of hell and has the most royal legacy amongst all its counterparts. A Bentley is bound to turn heads whenever it rolls out on the roads. Considered as one of the most versatile luxurious car-makers ever, Bentleys have managed to prove themselves class-apart and thus all the cars which have rolled out of the manufacturing units of Rolls Royce have been marked as exquisite and have created a roar in the luxury car market. Since the era of Rolls Royce began, we have witnessed a new dimension of perfection. All other automobile giants have their rivals but Rolls Royce Bentleys stand alone having no rivals. Ever since the first Bentley Arnage rolled out, there has been subsequent growth in the sales of Bentleys following which Phantom, Ghost and Continental GT were launched. The continental GT was launched few years back and this time Rolls Royce pulled the shutter off the all new Bentley Continental GTC. Recently Qatar played host to International Motor Show where Rolls Royce unveiled its latest marvel, Bentley Continental GTC which boasts of a grunge V12 engine which is twin-turbocharged. The horsepower of Continental GTC is an impressive 575 bhp with a 6.0 L cylinder. The transmission system of Bentley Continental GTC has also been upgraded with the overture of the Quick shift transmission which enables the car to make brisk and swift gear changes. This feature has been introduced for the first time in any Bentley and thus adds extra brownies to the appeal of this mean machine. The interiors of Bentley Continental GTC have been very aesthetically designed. The new Bentley Continental GTC has enhanced spacious interiors with wooden finishing of the finest quality and expertise. The whole cabin has been opulently and extravagantly hand-crafted by the dedicated designers of Bentley. Refined metals and best quality wood have been used to beautify the décor of the cabin. The floor has been covered with deep-piled carpets which give a royal touch to the car and add to the zest of the luxury. Over the past few years Rolls Royce has found buyers in India as well owing to the economic boom in Indian market which has resulted in profits worth millions to people. There is no scarcity of rich people here in India nowadays and thus the demand of Bentleys is increasing day by day. Since the launch of Continental GT Coupe Bentley aims to launch its model in India in a few years. 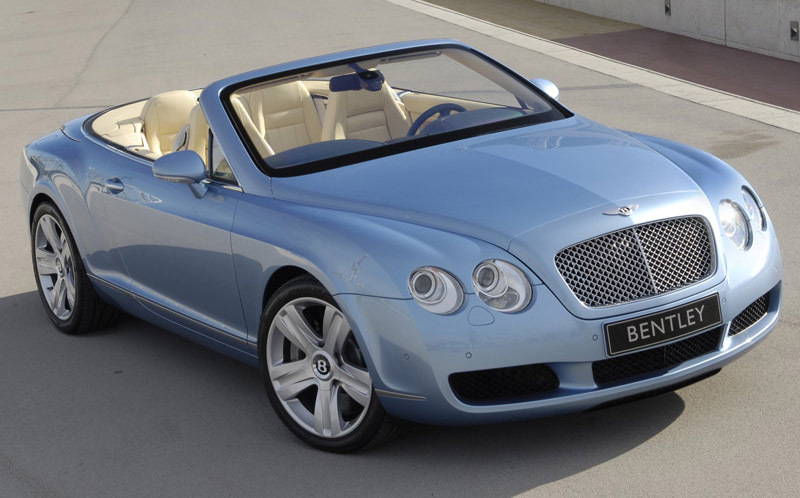 And now Bentley reveals the Continental GTC which bears its groundwork with Continental GT Cabriolet launched in 2006. Over the past few years Bentley has appointed the best designers and engineers to innovate and maintain the heritage of Rolls Royce so that it is never overthrown from its crown position amongst luxury car bigwigs.